Manufacturer’s guidelines: from 18 months to 18 years. Supersoft, cute and cuddly talking Tinky Winky. 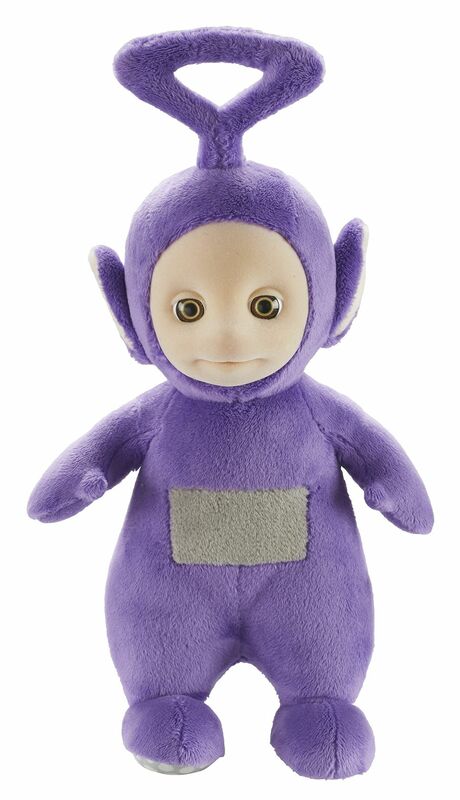 Gently press Tinky Winky's tummy to hear him talk and laugh! Irresistible and ready for cuddles, hugs and kisses! Made from super soft plush with original Teletubby styling. Original Teletubby speech and sound effects. A lovely toy for all Teletubby fans and the joy it brings to your child makes it worth more than its weight in gold!